Lumir Bardon, Franz Bardon's son is now, finally in charge of the publishing of his father's work. This is really a great development. So many folks have made money off of Bardon over the years, and all but ignored Lumir. 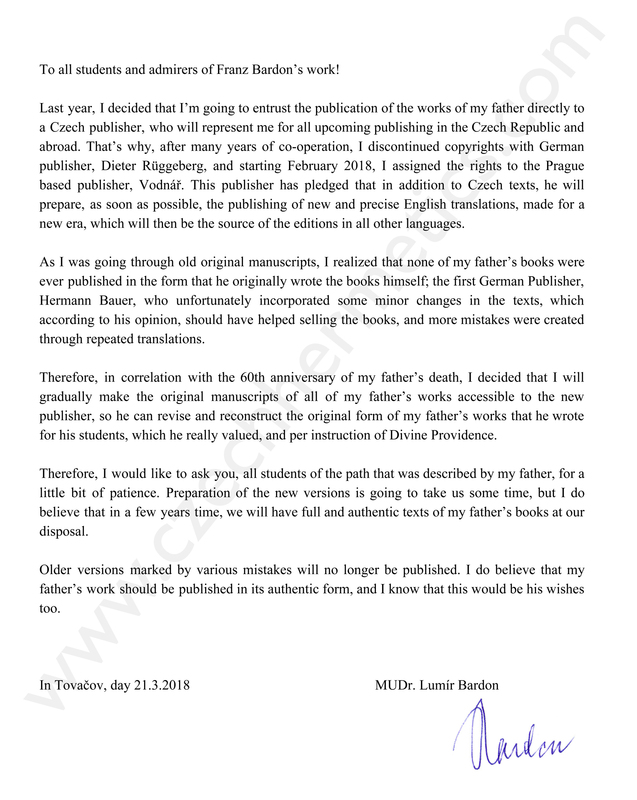 The new arrangements will mean, new more accurate translations directly from the original Czech, and that Bardon's family will be able to benefit more fully from his works.